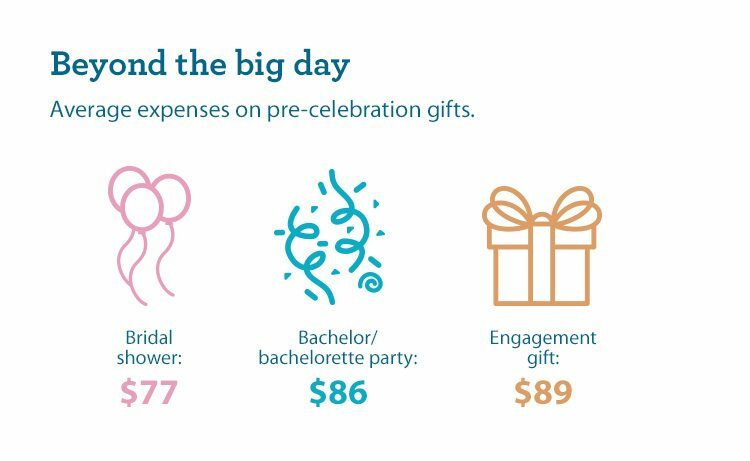 Not sure what to give your friends for their big day or how much you should spend? 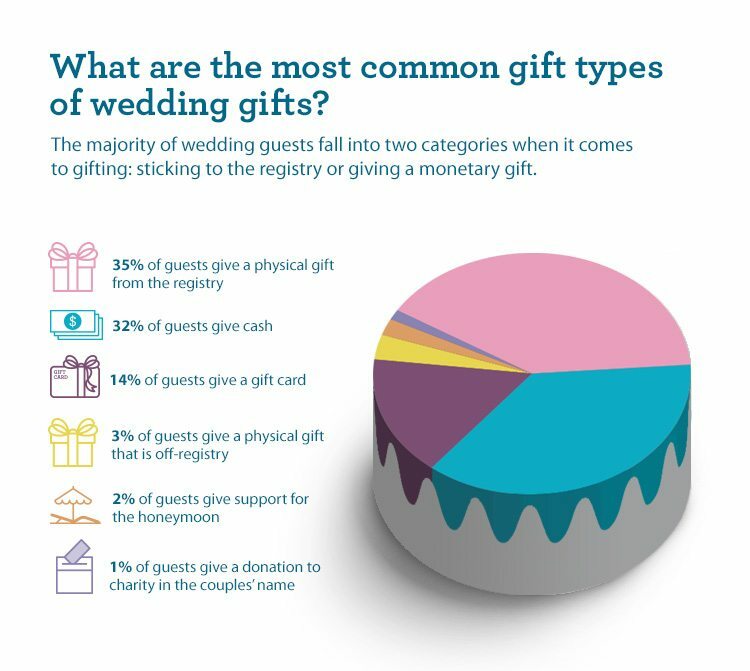 Check out these stats on wedding gifting to give you some ideas. Once you reach a certain age, it will seem like all of your friends are getting married at once. This means lots of celebrating, dancing, and (hopefully) cake, and certainly lots of gift giving. All of the etiquette around weddings, including wedding gifts, can make it confusing. What should you give the happy couple? Where do you buy the gift? 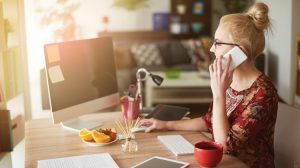 And how much do you need to spend? 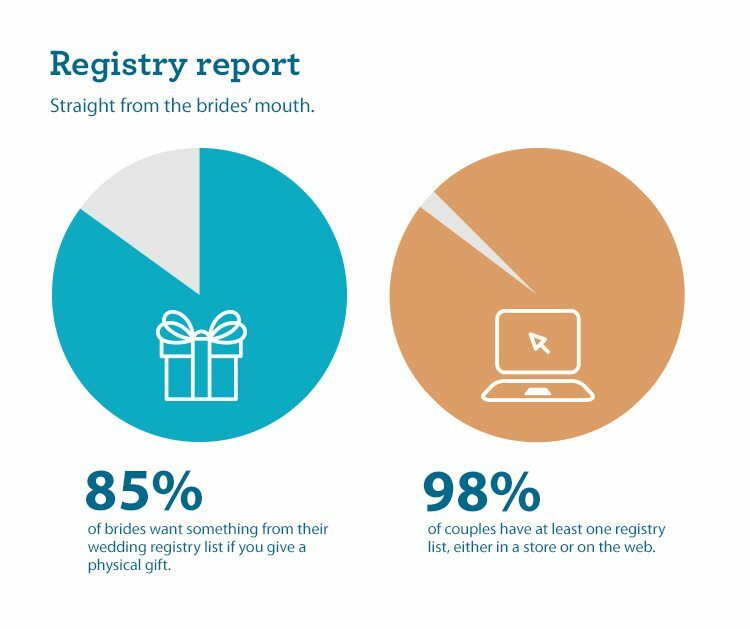 Check out these wedding gift stats to help you make those important decisions — and rest assured that you’re giving a gift that makes your loved ones feel happily-ever-after. 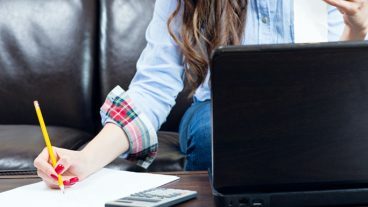 The top options of gifting something from the registry or giving a monetary gift are easy and help ensure that the newlyweds end up with something they love. Note that your preference for giving money versus an actual gift could have something to do with what region you’re in. In the Northeast, it’s common to see cash gifts at weddings, whereas in the Midwest or South, physical gifts are much more widely given. 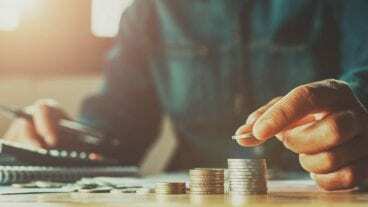 Skipping the cash to give a physical gift can also be a good idea if you’re tight on budget; you can pick something out that has a high sentimental or personal value, even if you don’t spend much on it. For some people, the hardest part of picking out a gift is setting a budget on what to spend. And if you’re attending multiple weddings in a year, these gifts can really add up! A general rule of thumb is: The closer you are to the person getting married, the more substantial your wedding gift. In other words, you would give a bigger gift to your best friend growing up than you would to your coworker that you’ve only known a few years. 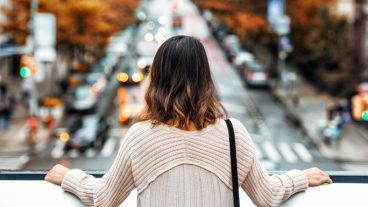 It’s also valid to consider other costs — such as if you’re going solo or with a date, traveling far, or paying for an expensive hotel room for the wedding weekend — and factor that into your gifting decisions. Gifting during wedding season often goes beyond the big day. 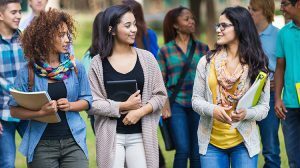 For particularly close friends or family members, you may want to give gifts to celebrate the engagement, a shower, or a bachelor/bachelorette party. 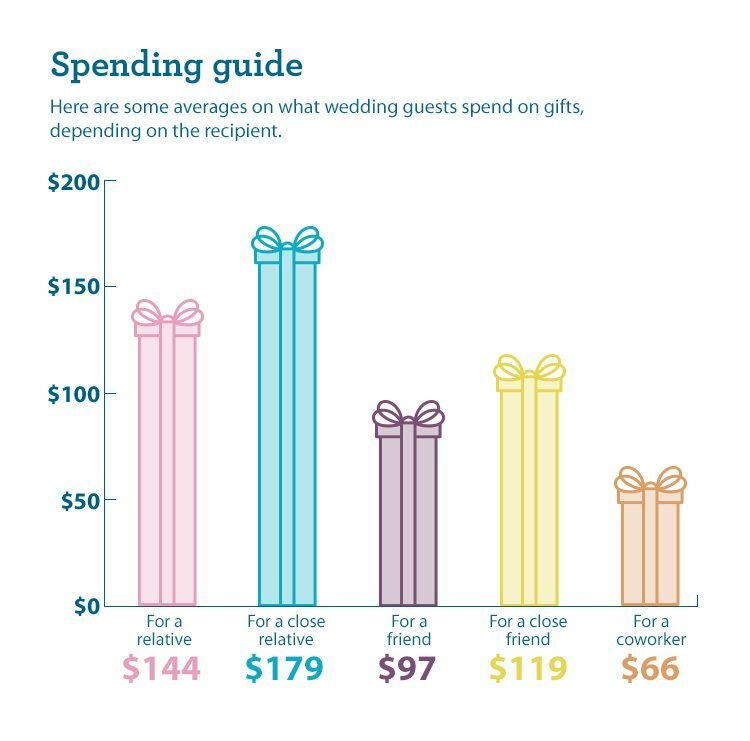 Many people stick with the 20/20/60 guide — 20% of the overall gifting budget goes to an engagement gift, 20% goes to a shower or other party gift, and 60% is for the main wedding present. Overall, don’t get too hung up on the ins and outs of wedding gift giving. The most cherished gift a happy couple can receive is the chance to celebrate their big day surrounded by loving family and friends!